The dream of the ’90s is alive, in a town that defies human understanding of climate and spatial dimensions, and yet somehow exists within our own timeline. 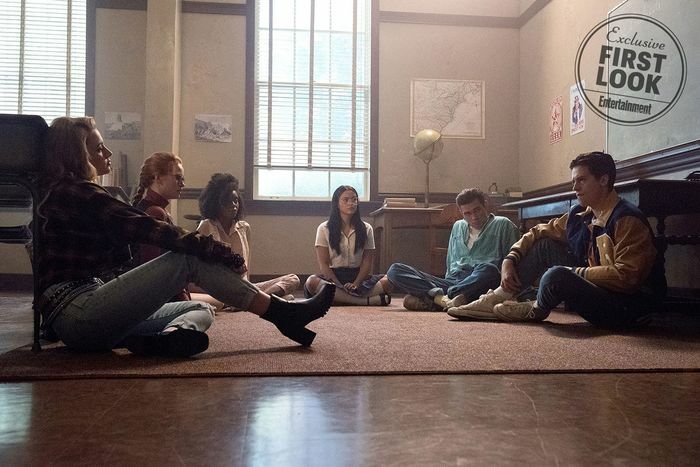 This season, Riverdale is giving the (horny) teens’ (horny) parents a 1990s-set flashback episode, in which the main cast plays the younger version of the adults. EW has a few photos from “The Midnight Club,” which is an homage to The Breakfast Club and somehow incorporates the spooky game of “Gryphons & Gargoyles” that was involved in a murder in the present timeline. 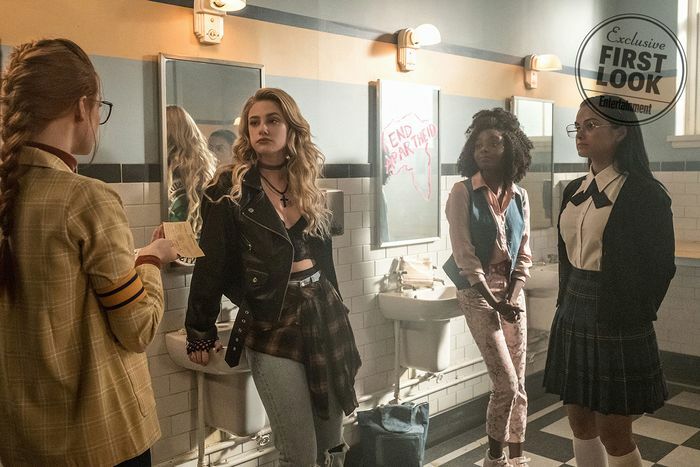 Among the highlights of the photos, we’ve got Lili Reinhart as bored teen Mädchen Amick, KJ Apa as a slouching 1990s Luke Perry, and Camila Mendes as teen Hermione, who was apparently a disaffected extra from Clueless. 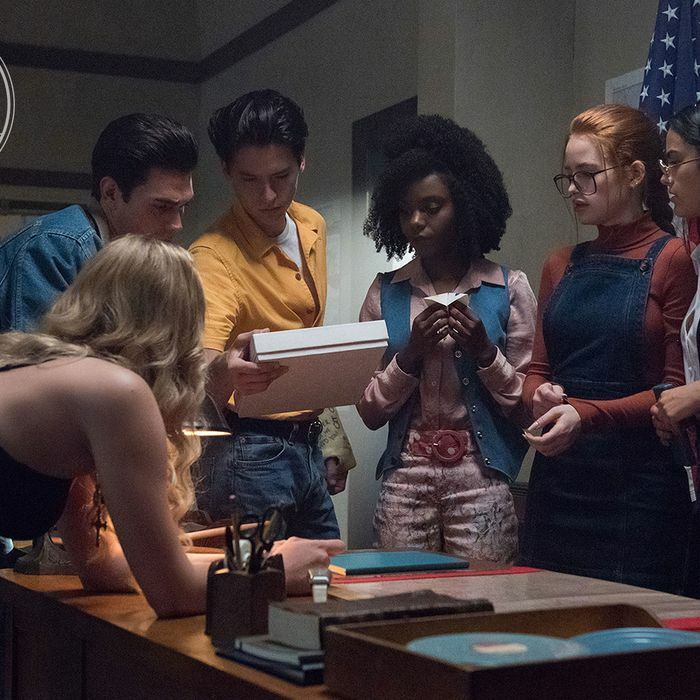 There’s also Madelaine Petsch as teen Penelope Blossom, Cole Sprouse as teen FP Jones, and Ashleigh Murray as teen future mayor Sierra. “The Midnight Club” airs on November 7. Shout-out to whoever decided the best way to signify the ’90s was to write “End Apartheid” on a mirror in lipstick.